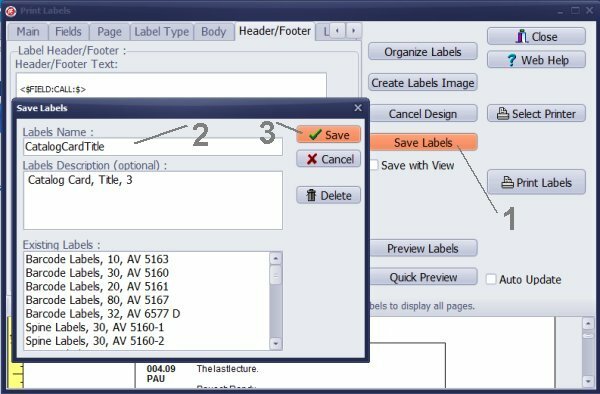 .. > Print Labels > How to define library catalog card? How to define library catalog card? A library catalog card is a paper card (cardstock paper, usually 3 by 5 inches) that contains bibliographic information about the library item: author's name, book title, item location (call number), publisher, place, date, subjects. Author Card lists author's name on the top of the card. Title Card lists book's title on the top of the card. Subject Card lists book's subject on the top of the card. 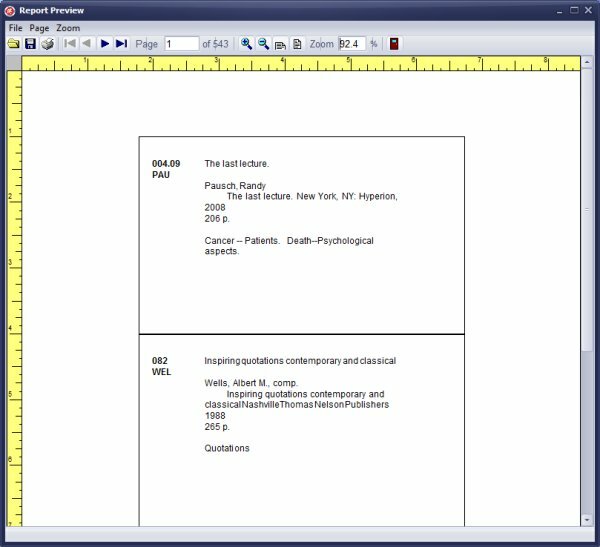 In this topic we explain how to create a library index card (title card) and save it to a template for future use. 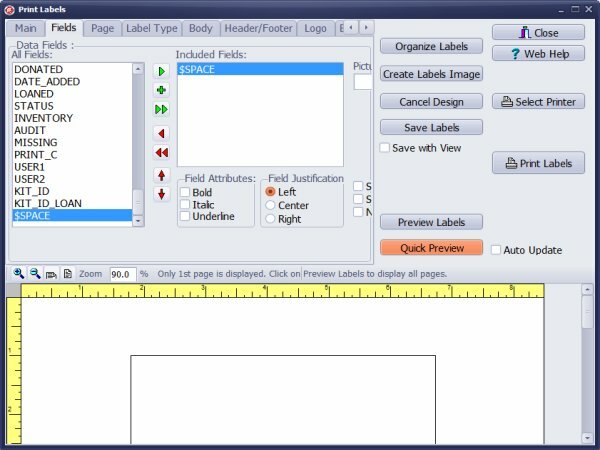 In the Label Type section click Specialized. Select BookCards-1 (3 cards per page). Click Quick Preview. Define left (1) and top (0.3) margins. Click Change Font button. Select Arial, Regular, and 10 Font Size. Click the Double Red button to remove pre-selected fields. Go to the end of All Fields box, select $SPACE and click the Green button. The $SPACE is listed in the first line in the Included Fields box. It represents empty line. In the All Fields box select TITLE and click the Green button. Now select $SPACE and click the Plus Green button. 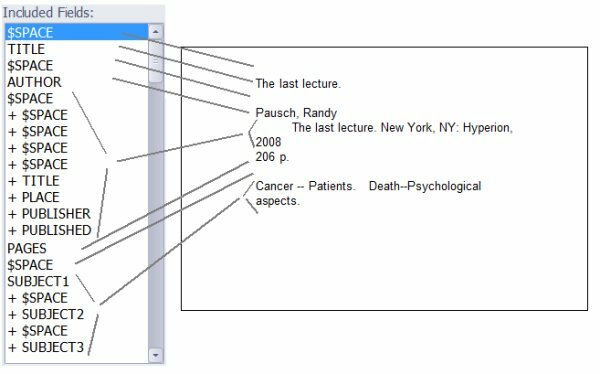 It means that the space (or selected field) will be listed in the same line. Enter empty line and then <$FIELD:CALL:$> into the Header/Footer box. Define left (0.2) and top (0.3) margins. Click Change Font button. Select Arial, Bold, and 10 Font Size. Click Preview Labels to review all library catalog cards. Are you satisfied with the card design? Click Save Labels. 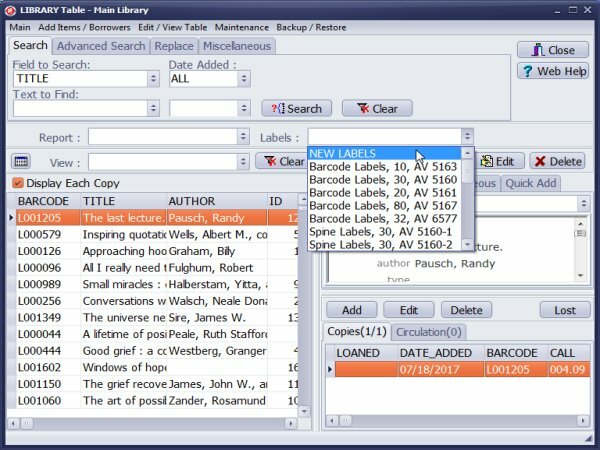 Enter your library card name into the Labels Name box. Click Save to save the template for future use. Practical advice. It will be more convenient if you save your report as a pdf file. 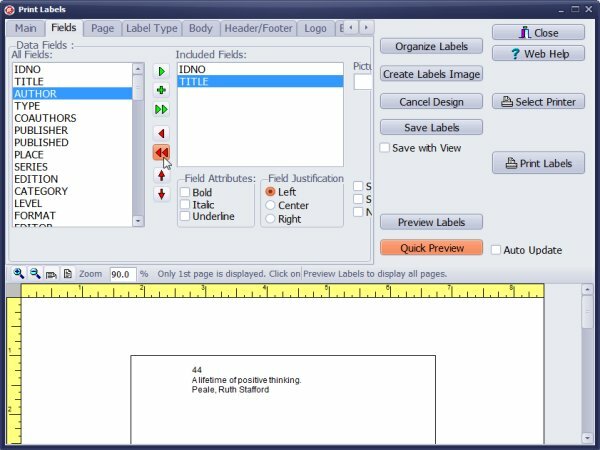 PDF Reader applications will let you print one page, selected page, any range of pages, and multiple times. 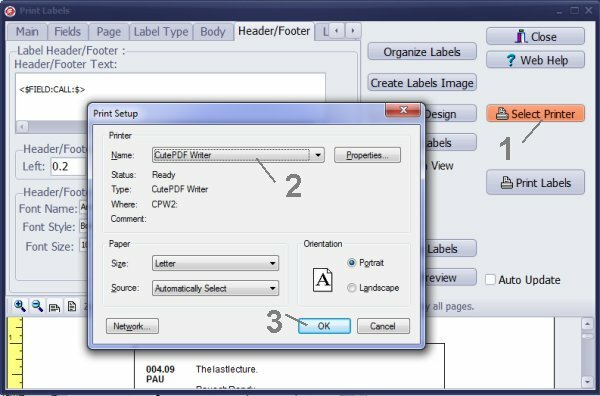 In the Print Setup window select PDF Writer as a printer name. Click Ok to save. 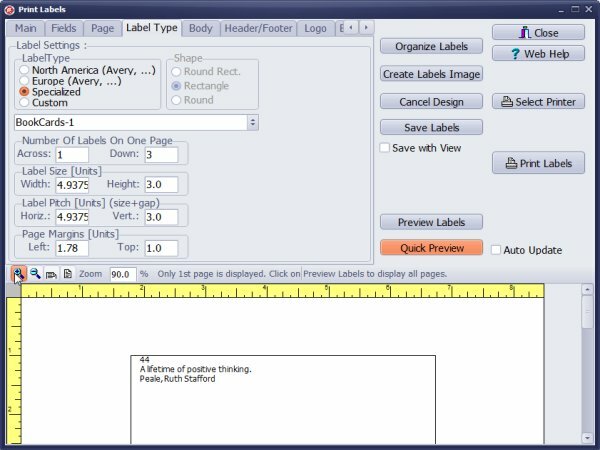 Now when you click Print Labels it will save the "library cards" report in the PDF file. 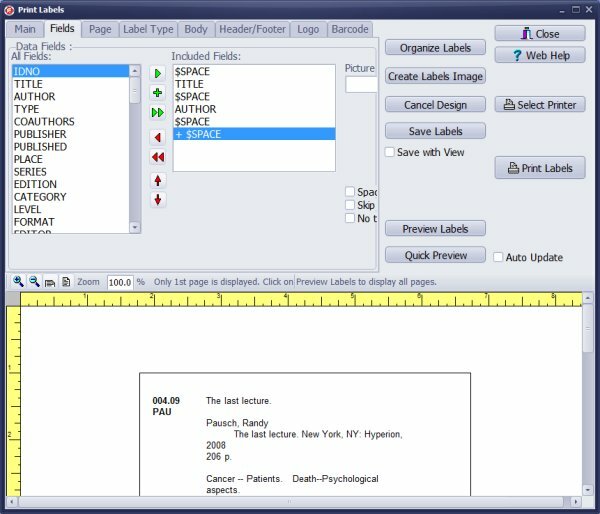 Our library database software has predefined labels. 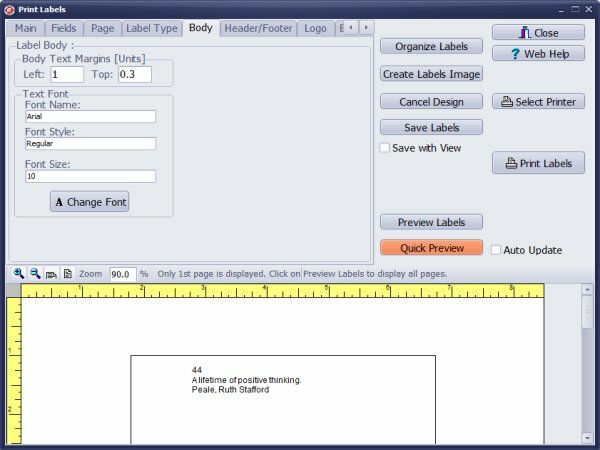 Ready to use Catalog-Cards template is using cataloging cards for laser printers by Demco. 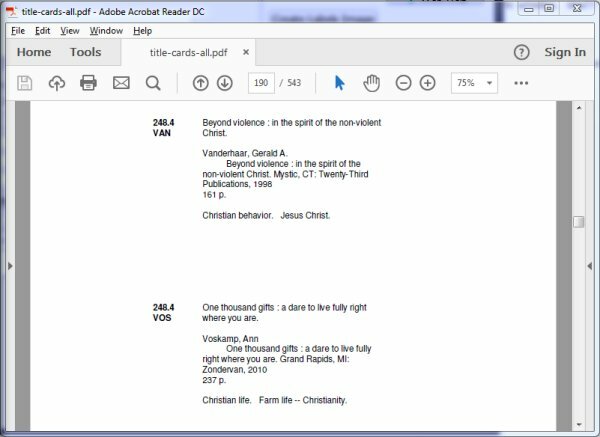 If you arrange your library items data on different cataloging cards let us know. We will try to create a template. 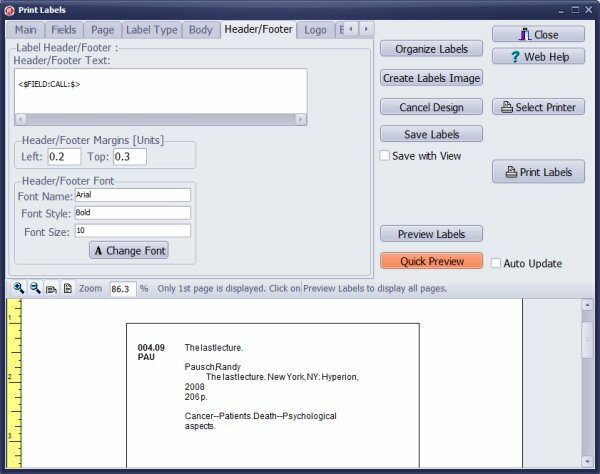 How to print library card catalog with your library catalog software? I need a very, inexpensive product that will produce library catalog cards for a small historical society. Try our Handy Library Manager, easy to use solution for small historical society library. Maybe we can offer you a discount if you do not need all library features. Old fashioned card catalog. I need to print cards for a card catalog. Will this allow me to do that? You can design and print cards. You can use a card template supported by the software, you can customize and create your card template, you can contact us with a card template specification that you would like use; maybe we can create a template for you.